Gateway Casino and Entertainment has confirmed the transformation and expansion of its Palace Casino to Starlight Casino will be unveiled on Wednesday 26 September. The $57m construction project has created in over 300 new jobs and will see the Edmonton property’s latest development include 120,000 square feet of entertainment space with 32 gaming tables, 8-table poker room, 768 slots, the addition of VIP gaming with private salons and six unique restaurants. 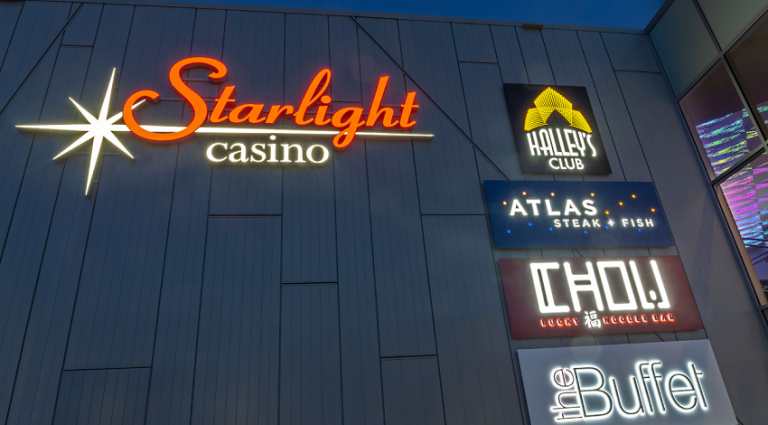 Gateway has also detailed that the Starlight Casino employees have selected The Stollery Children’s Hospital Foundation as the charity partner for the grand opening festivities. From September 26th to October 31st, donations will be made to The Stollery in support of the important work that they do in Edmonton throughout the province, to give the sickest kids the best chance to live a long and healthy life. Gateway emphasised that its Starlight Casino brand will “provide guests with the glitz, glamour and vintage feel of retro Vegas in a high energy atmosphere, centred around dining, gaming and entertainment experiences”. Community leaders and customers will celebrate at the Grand Opening festivities on September 26, starting with an official media launch and party hosted by NHL star Jason Strudwick.